“Oh dear – a night mare,” the tweet read. 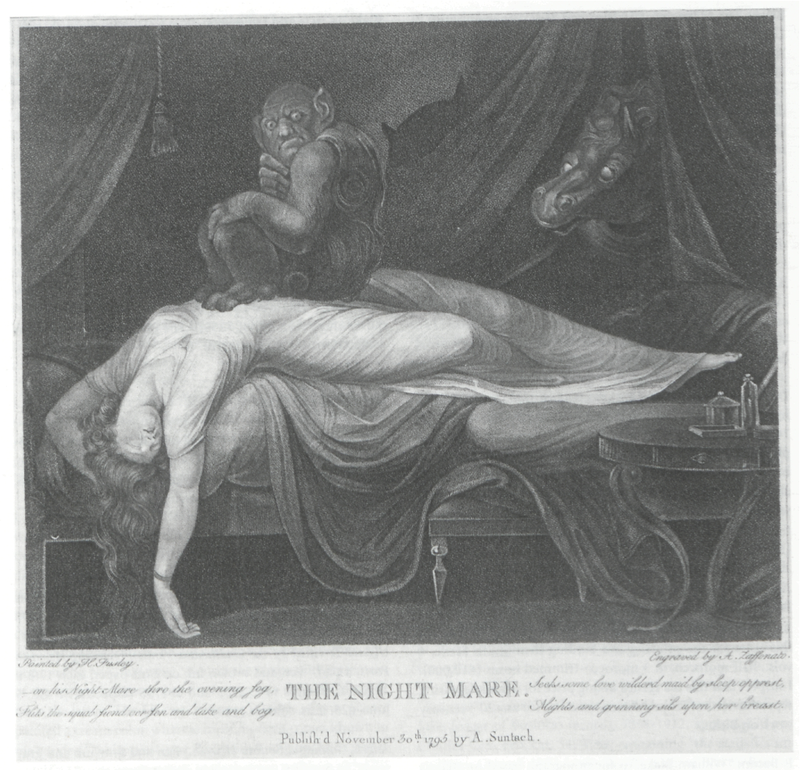 A familiar image popped up on my Twitter feed just the other day, of an engraving of Henry Fuseli’s “The Night Mare” (1795), referencing the Blake Archive Twitter account and shared from a 2008 issue of the Blake Illustrated Quarterly (BIQ) by Anke Timmermann, historian of medieval and early modern alchemy, medicine, and science, former Munby Fellow at Cambridge University Library (2013/14), and antiquarian bookseller at Bernard Quaritch Ltd. Although Anke and I have never met in person, we follow each other on Twitter, and I am familiar with her name from our joint interests in the history of science and medicine. As an early modernist by training, I am accustomed to seeing 16th- and 17th- century manuscripts and woodcuts, medieval illuminated letters, and other wonderful visuals on my timeline, thanks to the large number of both medievalists and early modernists that I follow on Twitter, which has become for me an active and inspiring academic platform. 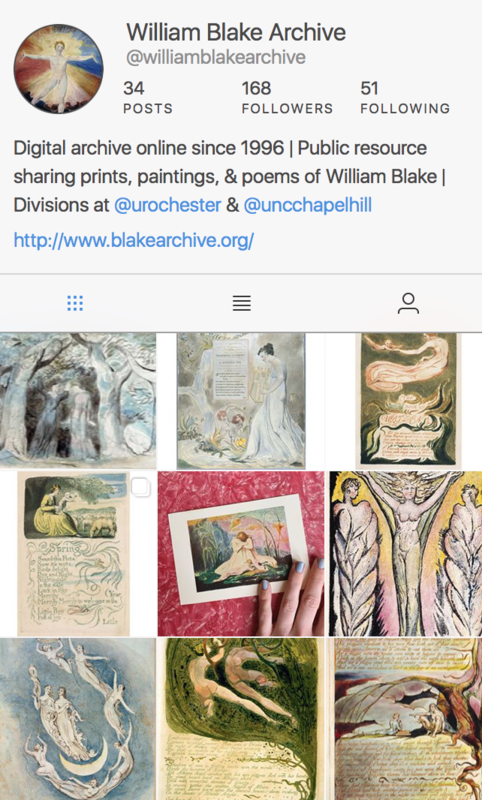 But it was a lovely surprise to see Fuseli’s image from the Blake Archive—where I work as an editorial assistant—appear via a scholar I’ve associated with work in science, medicine, and recipes in my own field. In my work as an editorial assistant, I’ve been involved with the back end of the William Blake Archive as a public-facing project—and it’s easy to get so deep in the world of XML and coding for corrections in Blake Illustrated Quarterly (BIQ) [link] that I lose sight of the public front end of one of the first and most established digital humanities projects. The link Timmermann provided for the image brought me to Robert Essick’s “Blake in the Marketplace, 2007,” in BIQ 41.4 (2008). As I scrolled down to Fuseli’s “The Night Mare,” I looked at the article from the other side, a foreign perspective that contrasted with the XML files I typically work with. 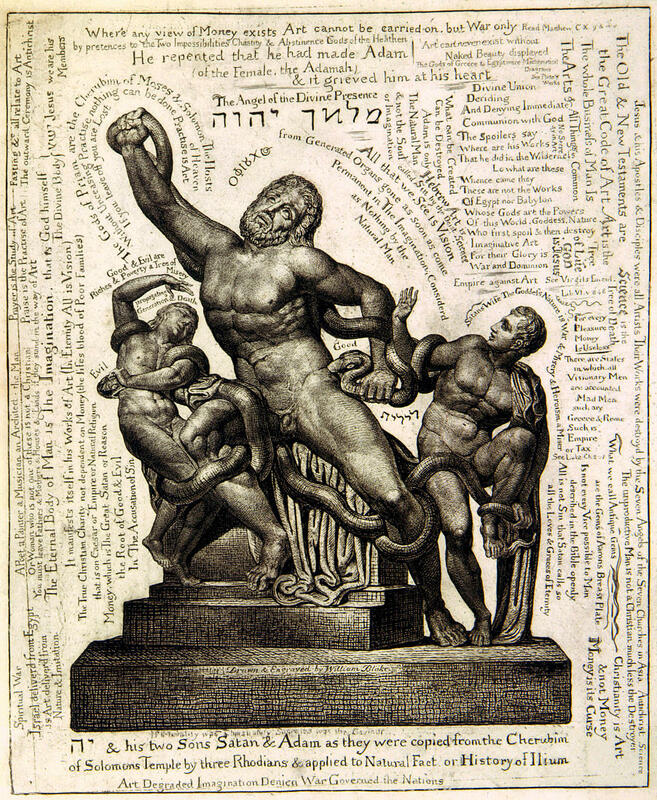 I was proud to see the great job of the BIQ team, from the little things like indicating page numbers to coding endnotes to formatting figure captions, to make the texts, images, and scholarship on Blake and his contemporaries accessible to the larger public.